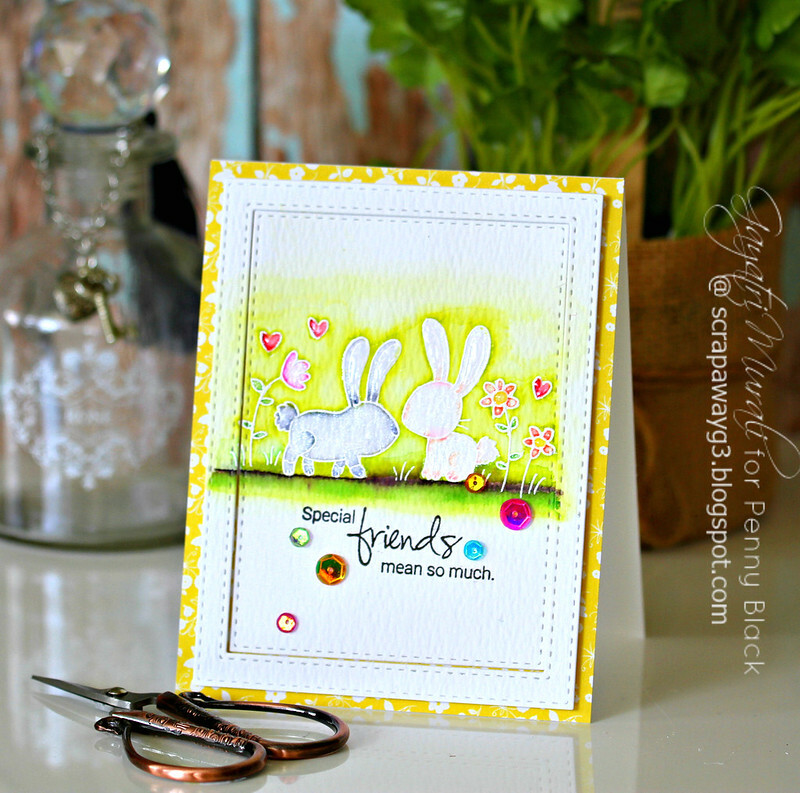 Special Friends – A set of Penny Black cards! Hope you had a great weekend! Mine was busy but busy is good. Better than hectic I should say. Then weather is also getting cold from chill. Enjoying the weather change. Hope you are all too. Anyway, I have a set of two card using Penny Black stamp sets. 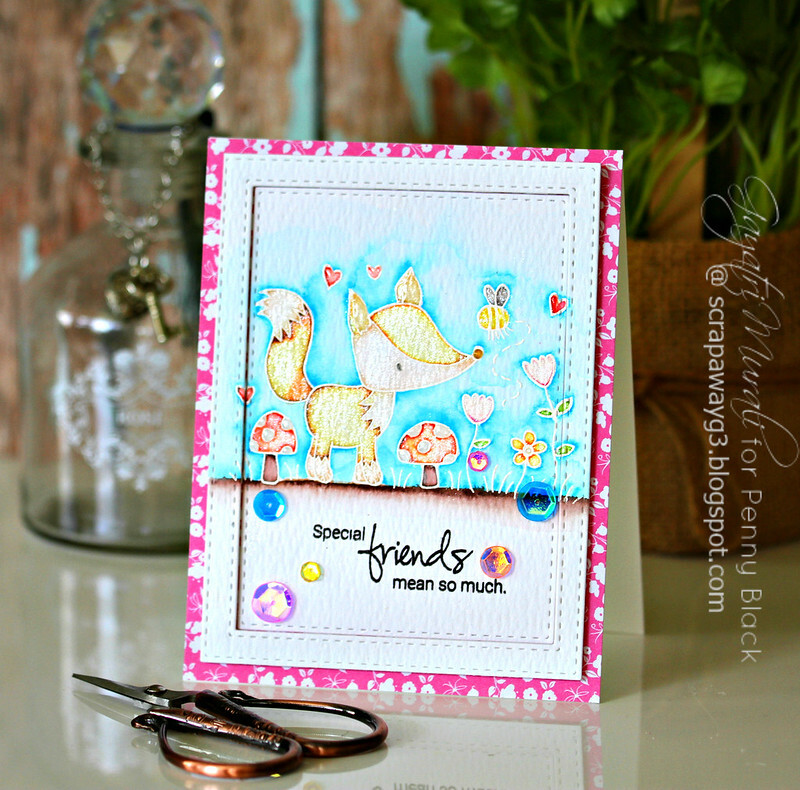 Both my cards using Woodland Friends stamp set. 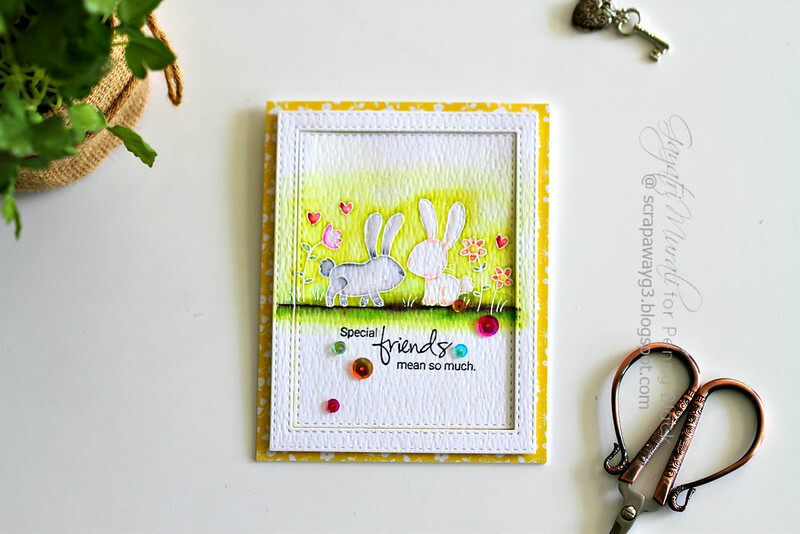 I white heat embossed the images on watercolour paper and watercolour them. 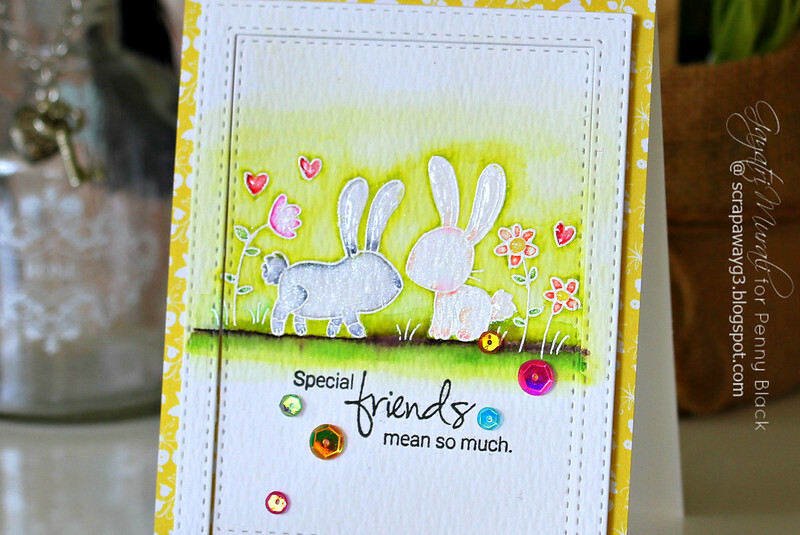 The sentiment is from Mimi’s Love stamp set. Here is the first card. I die cut a frame out of the water coloured panel, popped up the frame and inlaid the inner panel. 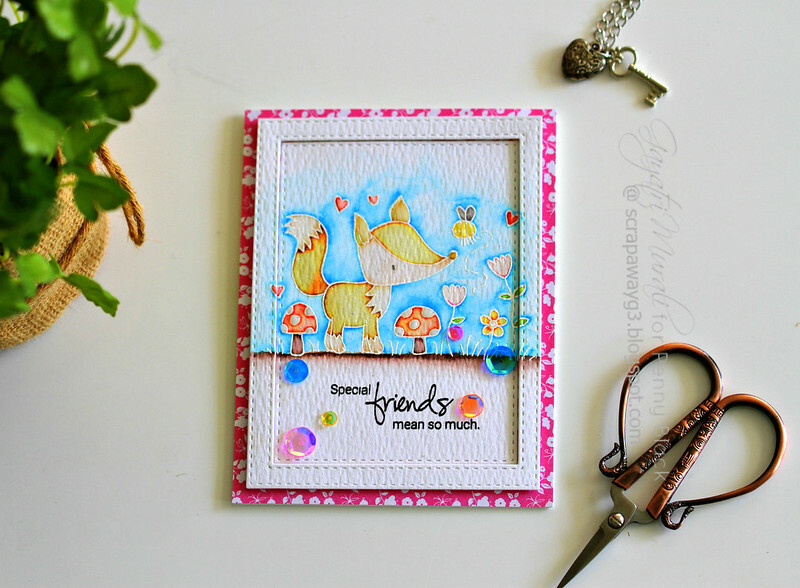 The background pattern paper is from Beau Jardins pattern paper 6×6 paper pad. Finally embellished with sequins. Here are the closeups. I have coloured both the images using Zig Clean Brush pens. I use these pens to colour intricate and detailed images. I feel I have better control with these pens. I add a bit of colour on the shading areas and then use aqua pens to pull the colour and fade out. 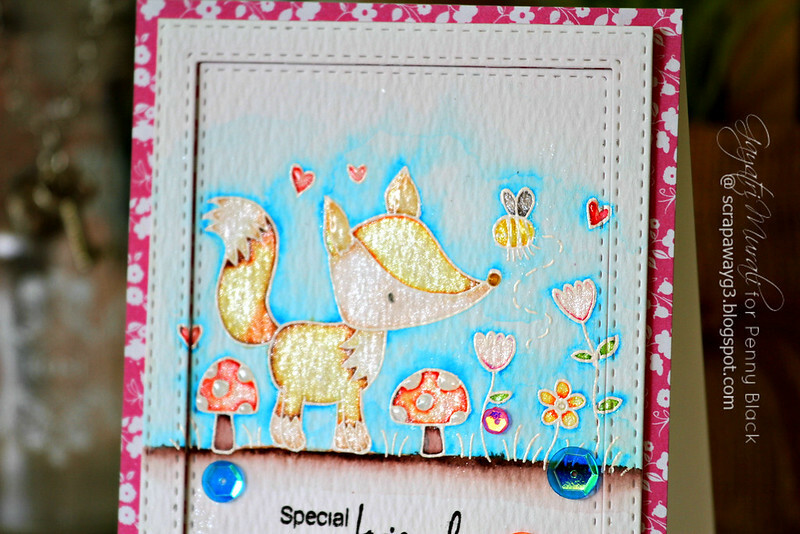 I also added glossy accents on the ears, tails, hearts and flowers for extra dimension. Then I also added some shimmer using Wink of Stella. All the products are available from Penny Black store.